4 Light Crystal Table Lamp. 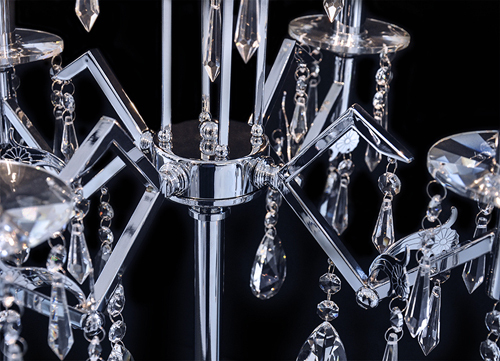 Introduce the "wow" factor into your space with the Danica crystal table lamp. This table lamp gleams with sophistication as the light bounces off of each of the precision machine cut and polished razor sharp facets. You can't help but notice the quality of this K9 crystal table lamp as it has a 30% full lead oxide content which will produce pure optical clarity and a stellar exhibition of color. 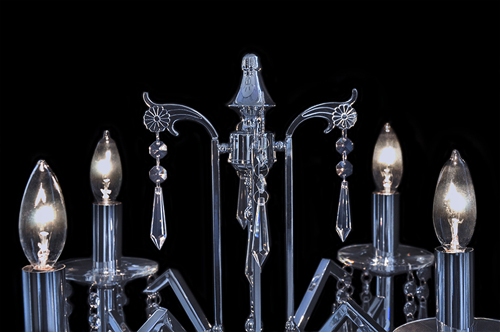 The antique style iron frame is brought up to date in a high polished chrome finish. Therefore, making this table lamp appeal to a large variety of decorating styles. 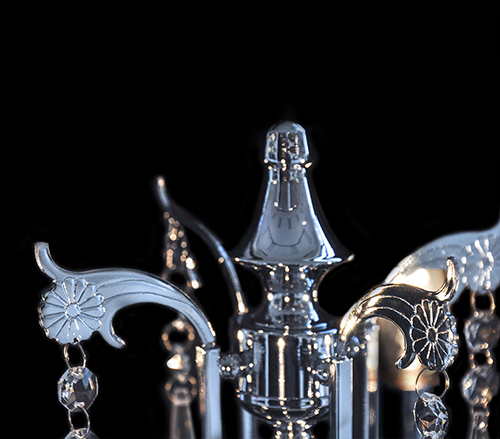 All of our crystal table lamps come with UL certification to be used in all commercial or residential locations. 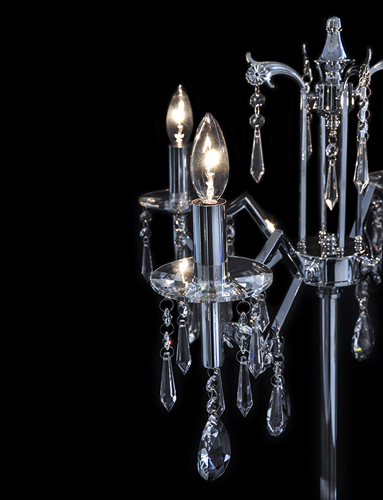 You will get a great deal on this alluring lighting fixture at The Interior Gallery's factory direct prices. Arriving complete with 4 lights that are able to accommodate a 30 - 60 watt light bulb, you won't be disappointed with this crystal table lamp as it will bring functionality and style to wherever it is placed.